The visit starts from the vaults of the monastery, once used as cellars and store-rooms, where visitors can trace the history of the peoples living in the area of Brescia beginning from the first settlements of the Bronze Age up to the Roman Age. The most ancient finds, coming from the southern parts of the town, date back to the third millenium BC. and they are a testimony of the time when man acquired skill in agriculture and handicraft. 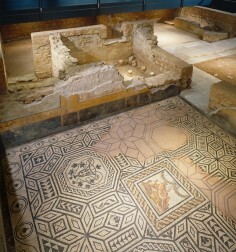 The Roman Age is documented in all its aspects, both public and private. At the time of Vespasianus, Brescia had a monumental centre with the forum, the Capitolium, the basilica and the theatre. 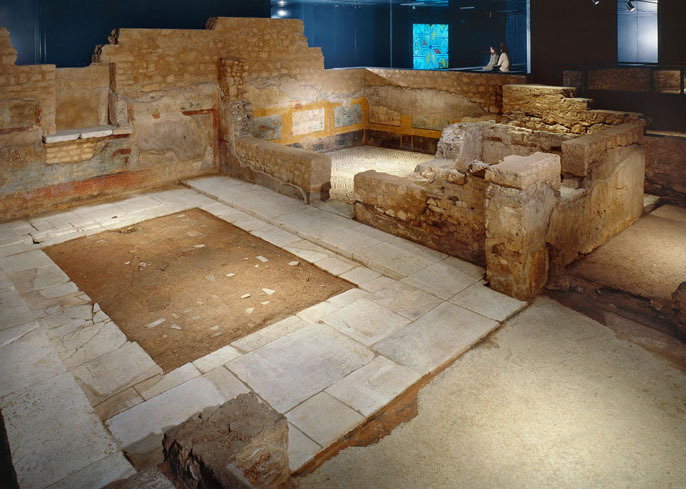 Plastic models, computer stations and archaeological finds allow us to conjecture about the buildings that housed the imposing bronzes of the museum, such as the Winged Victory and the golden portraits of Roman emperors. Beside the public monuments stand the private domus. with their frescos, mosaics (particularly remarkable are those coming from the rich residence of San Rocchino), and household objects. 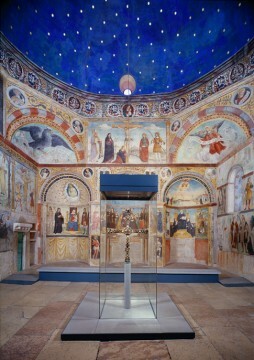 This section of the museum is unique for the presence of the remains of the Ortaglia of the monastery which is being restored to be set in the museum route. The coming of the peoples of German origin such as the Goths, the Lombards and the Carolingians marks the shift from late ancient art to that of the early Middle Ages. The urban landscape changes profoundly after the abandonment of the monumental Roman buildings, the construction of simple houses made of wood and mud, and the transformation of large urban areas into cultivation. It is in this period that the monastery of San Salvatore was founded, soon assuming an important religious, political and economic role which marks the gradual resumption of civil life. ba’s convent. The visit goes on with the church of San Salvatore and the ancient refectory of the 15th century, a large room divided into two naves by imposing columns; here visitors can find materials coming from the monuments of the town which date from the late Gothic style up to the full Renaissance. The itinerary continues with the upper floor where the two sections dedicated to applied arts can be found, grouped according to house models or collection tastes. 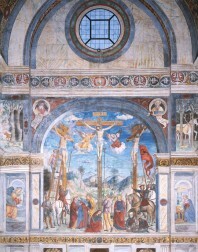 Particularly important is the reassembly of the beautiful cycle of frescos made by the young Moretto for the residence of Bishop Mattia Ugoni. Hub of the following section is the building of Santa Maria in Solario, where visitors can admire masterpieces of the treasure of the monastery: the ivory reliquary and Desiderius’s wooden cross studded with precious metals and very rare cameos.